Lakeview Archers Christine Finnegan, Andrew Syme, Cyrille Leveque, Gerry Newman, Dennis Bryce at the World Field Archery Championships. Five people from Lakeview Archers in Horahora attended the World Field Archery Championships earlier this month, bringing home three of the New Zealand team’s four gold medals. 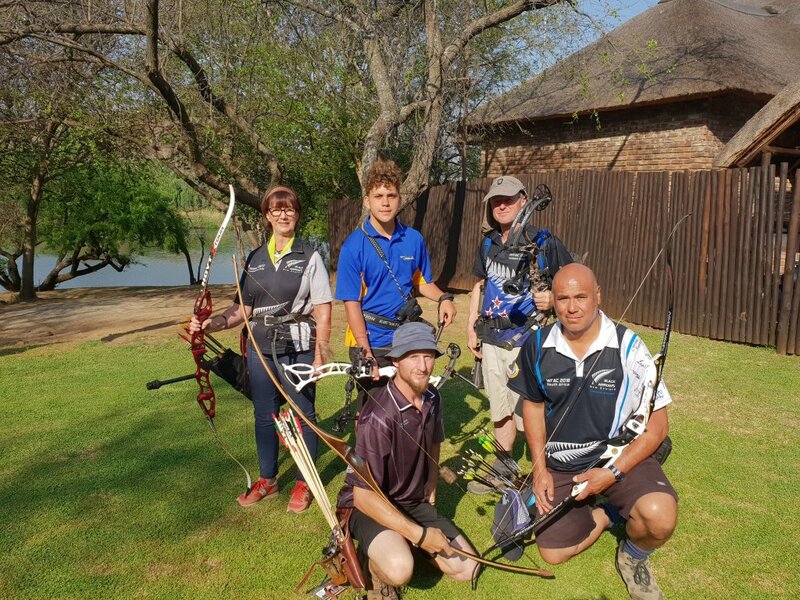 Local archers Christine Finnegan (Veteran Women’s Bowhunter Recurve), Dennis Bryce (Veteran Mens Bowhunter Recurve), Gerry Newman (Veteran Mens Bowhunter Compound), Cyrille Leveque (Mens Longbow) and Andrew Syme (Junior Mens Freestyle Unlimited Compound) competed in the 16-strong Black Arrows team at the event in Potchefstroo, South Africa, with the Kiwi team totalling four gold, two silver and two bronze medals. Christine Finnegan won her division 500 points clear of her second-placed competitor and set two new NZ records. Dennis Bryce won his division 200 points clear of second place. Gerry put in a real battle for his gold medal with a winning margin of just two points. The five-day competition saw competitors walk a different 28-target course each day in over 40-degree temperatures, shooting various sized targets at varying distances, before walking to the target to score, retrieve their arrows and move on to the next. “They were long tiring days,” said Christine, ‘on the last day I walked about 11 kilometres! 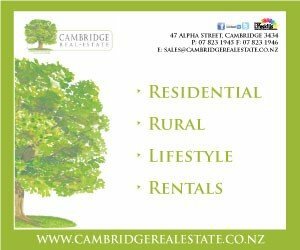 Christine has been nominated for this year’s South Waikato Sports Awards and will be cheered on by the Lakeview Archers at the awards presentations in Tokoroa on November 15.